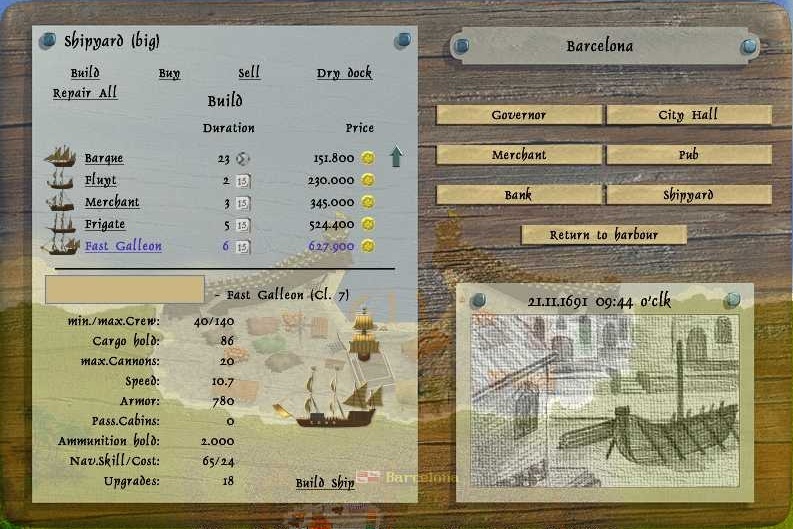 If you press shipyard you get to the dry dock, here you can buy or sell cannons and ammunition. And you got a repair all to the top left to repair all your ships at once. Or you can click each ship individually to repair it. If a ship is grey and you cannot click it, it is because the shipyard you are in is too small to repair or add upgrades onto your ship. Here you can see what minimum size shipyard you need for each ship type. 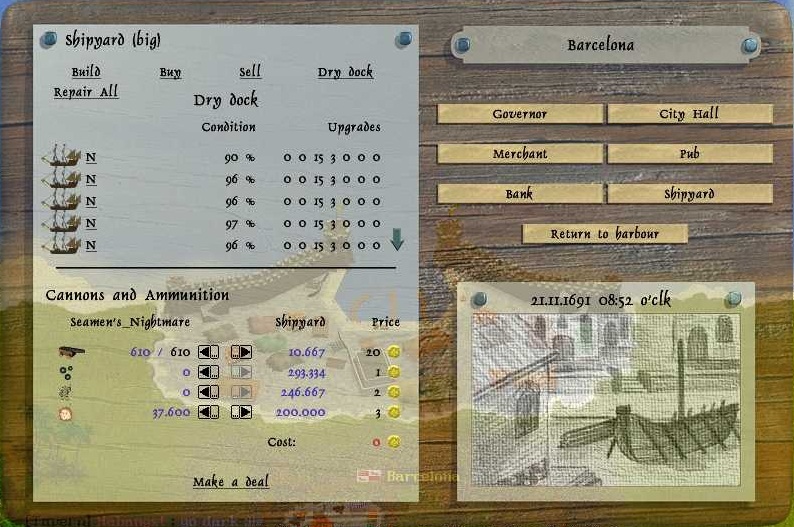 To build a ship, press build and you will see a list of what ship types you can build, in the shipyard you are at. To learn everything about ship classes and building ships click here. When you press buy, you get a list of ships available in the city and what price and condition they are at. 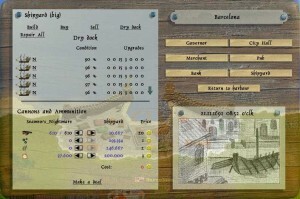 By pressing one of them, you get detailed information about the ship and you can choose to buy it. 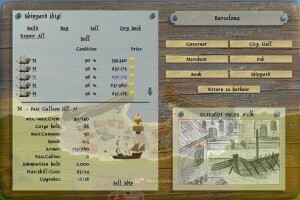 If a player sold a ship to the city, it will for short time also be available to buy. If a player loses swordfight with the city his flag ship will be available to buy for short time. 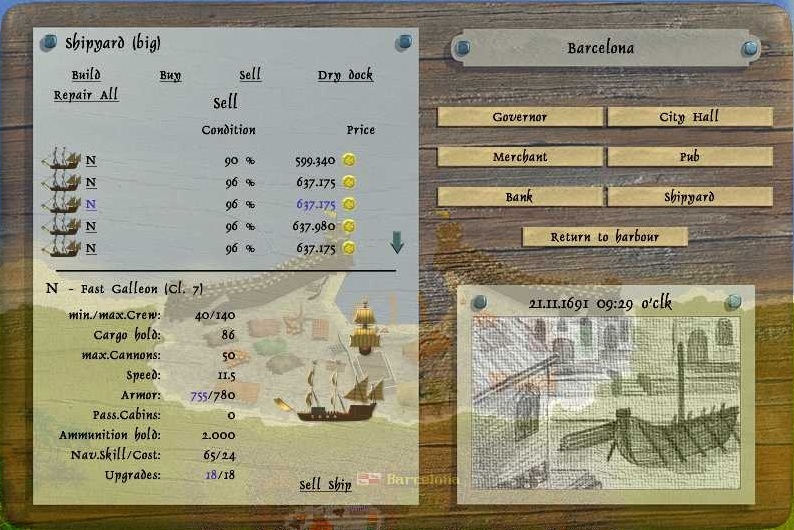 If you desire to sell a ship to the city, press sell and you get a list of the ships in your fleet, beside them you see their condition and how much gold you are able to sell each ship for. 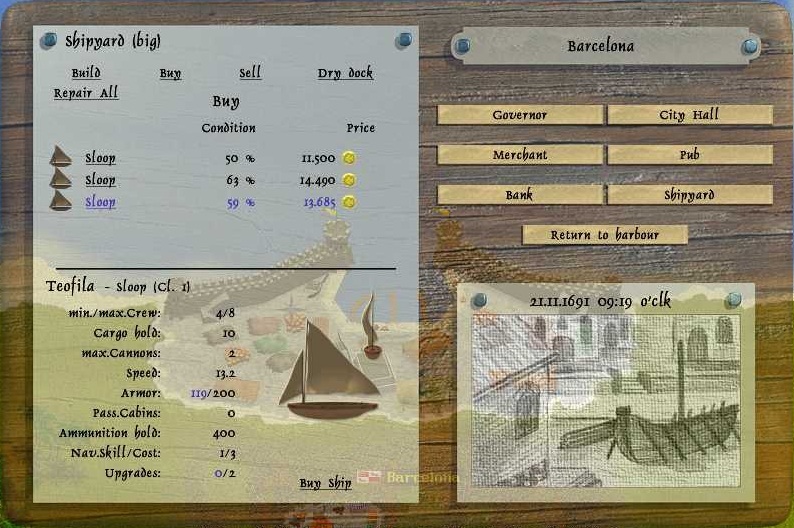 Your trade skill, decide how much gold you earn on selling a ship. Learn more about trade here. When you want to sell a ship, you press it and get a detailed description of it and then press sell ship at the bottom.